Is the Ivory Tower for You? The road to an academic career is a long one, and many individuals fall by the wayside. Before handing over many precious years of your life, you would be wise to get a precise sense for where this path leads and how to navigate it successfully. This dilemma is particularly personal to me, since I have an affinity for academics and have been weighing various study options for longer than I care to remember. 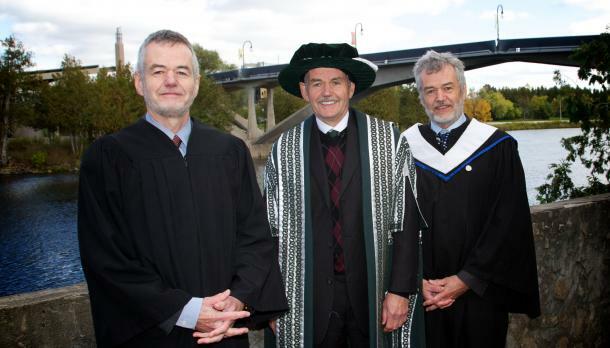 With three uncles working in Canadian higher education, I have also seen the highs and lows, with one rising to be a university president and another struggling for many years to provide for his family. For those who lean towards (classical) liberalism, there is the further complication that many fields, particularly the humanities, may seem hostile to your presence. This reminds me of my old job as a note taker in New Zealand — one of the most eye-opening experiences of my life. In that role I attended and reviewed random classes all across the University of Waikato, and the weight of collectivism crushed my confidence in academia. The problem is not fatal, but one should be aware that academia does have ideological gatekeepers. This is where the Institute for Humane Studies (IHS) at George Mason University has such an important role to play. The nonprofit in Arlington, Virginia, offers financial support and career mentoring to libertarians and liberals, of which I have been a beneficiary. That includes the now defunct journalism seminar I attended back in 2010. At another IHS seminar I picked up a book that I only got to recently, but which I should have read a long time ago. 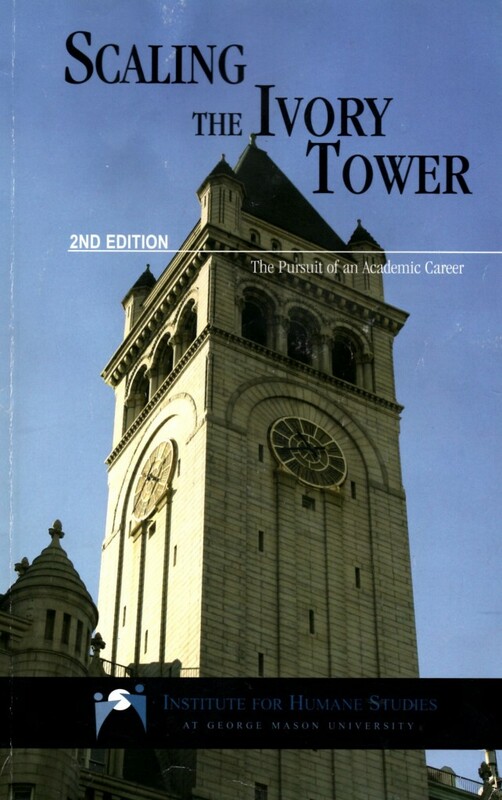 Written by fellow liberals, Scaling the Ivory Tower: The Pursuit of an Academic Career (Second Edition, 2005, 81 pages) is wisdom handed down from those who’ve been in your shoes and made it to tenured positions. You’ve likely heard of Michael Munger (political science) of Duke University and David Schmidtz (philosophy) of the University of Arizona; both contributed multiple sections to the book. Scaling the Ivory Tower may be under 100 pages, but there is no fluff. It doesn’t waste time in delivering practical advice and addressing the difficult questions. It focuses solely on the path to academia, as opposed to studies for other purposes, and it compels you to think carefully about where you want to go and why you would or would not want to be an academic. Seemingly every few pages there is a tough-love warning: if you don’t like X, maybe the academy isn’t the place for you. What struck me the most was the book’s detailed description of the many steps and the long-term planning necessary to scale the tower. As someone who wants results stat and who has no love for bureaucracy, this was not exactly music to my ears. However, the contributors make their case clearly and persuasively, and they speak from experience. They note how competitive academia can be, and how you have to be able to distinguish yourself from your rivals. In addition to the expected sections on choosing a graduate school and conducting a job search, Scaling the Ivory Tower weighs in on “dealing with people” and “getting along.” These seemingly quaint ideas, along with how to develop your brand, constitute perhaps the most valuable and distinct part of the book. Schmidtz wrote this for liberals who lean towards polemics and whose attitudes will put them in awkward positions when engaging with other people in the field. “There is a risk,” he writes, “that classical liberals will behave this way, just because they think they have something important to say which is being ignored.” He encourages people to think for themselves, engage with the field, and not hide behind all aspects of a pre-packaged “ism.” My friend Walter “the moderate” Block‘s path is illustrative here. The combative author of Defending the Undefendable is now chair of the economics department at Loyola University New Orleans, but his road has been arduous. Aside from that distraction, the content of Scaling the Ivory Tower is not to be missed and a tribute to the work of IHS. There is no easy answer to whether the academic career is right for you, but at least this book explains “the rules of the game” you’re entering. Albeit annoying for those accustomed to shooting from the hip, these rules even encompass adherence to “netiquette,” so you don’t set off any alarms with hiring committees. Regarding the final step of tenure, Munger writes that the question is “whether you are so committed to intellectual achievement, so devoted to the life of the mind, that you will continue to work hard even after you have absolutely no material incentive to do so.” You may not be able to gauge that before entering graduate school, but eventually you will have to resolve whether you meet that threshold. I as far as I can tell, I am taylored for academia in every way. My only, but major, problem is ethical: I can’t justify taking coerced salary, stolen from people at gunpoint regardless of whether they care about my area of research or not. The only way is to join a company as a reasearcher (founding one takes time away from research). Has anyone been facing the same question? Have you considered a private university? Keep in mind that there is no way to avoid all government provisions, as much as it is regrettable. I agree that state universities are welfare for the middle class, but in many countries there are no private universities, so you just have to work with what is there.